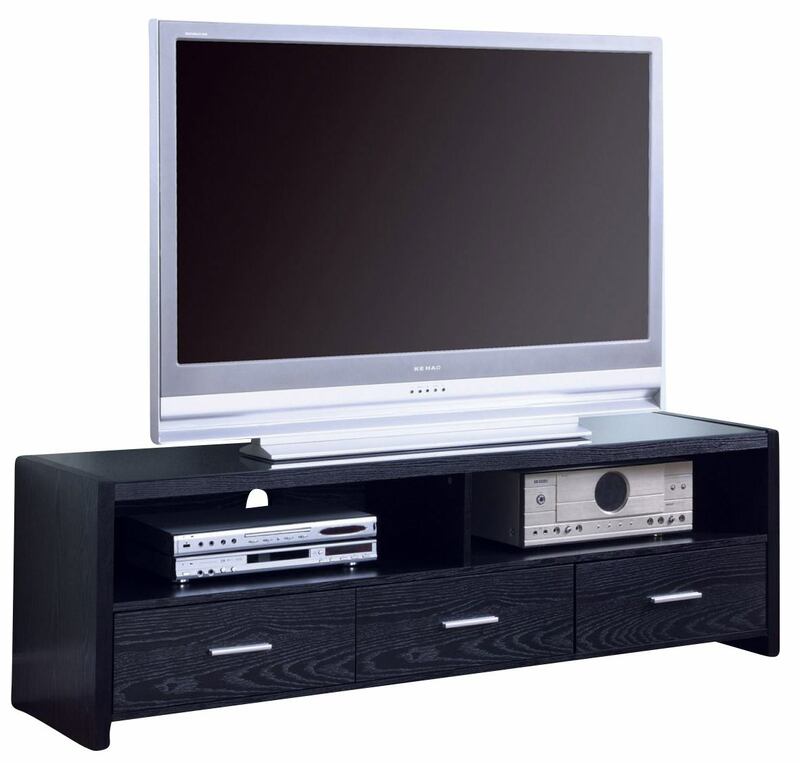 This TV Console by Coaster Furniture will allow you to embrace simplicity and elegance in your living space. Two open compartments for component storage and three drawers provide discreet storage for things such as CDs and DVDs. Featuring a smooth black finish with silver colored accents, this piece will make a statement in your home's decor.